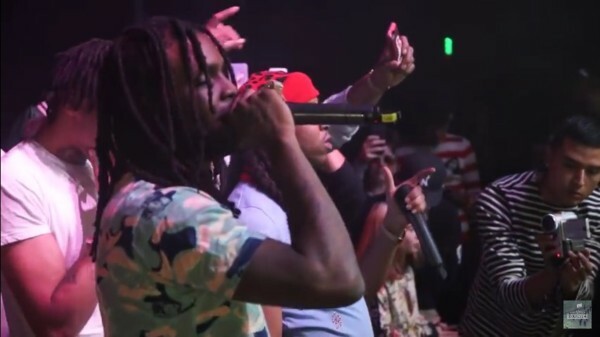 Watch Chief Keef’s performance in Santa Ana featuring Lil Tay. No Jumper gets a quick visit from Shy Glizzy in a Lamborghini and then proceeded to hit the Chief Keef show in Santa Ana. Notable appearances from Lil Tay and Woah Vicky.